Gregory Dugan became a member of the ISO bass section in 1979. He earned a Bachelor of Music degree from Indiana University, where he studied with Murray Grodner. Prior to joining the ISO, he was principal contrabass with the Orquesta Sinfonica Nacional de Costa Rica. Dugan has held a number of faculty teaching positions, including 30 years at DePauw University. He currently teaches in the Metropolitan Youth Orchestra program, Anderson University and the MasterWorks Festival. He has performed as guest principal bass with the Hong Kong Philharmonic, the Shanghai Symphony, the Australian Chamber Orchestra, and has been a substitute bassist with the Chicago Symphony and Milwaukee Symphony Orchestra. 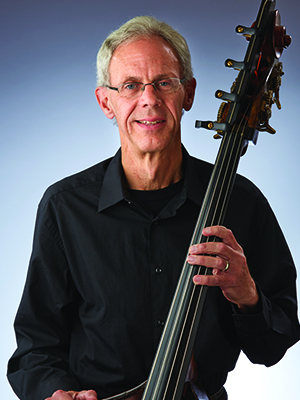 In the summers he performs as principal bass in the Oregon Coast Music Festival, and in recent years has participated in the summer orchestra festival in Zhengzhou, China. Dugan has received the ISO Patch Leadership Award, and in 2017 received the Alice D. Akins music education award from the ISO Learning Community. He and his wife, a microbiologist originally from Singapore, enjoy travelling- preferably by train- and exploring remote corners of his home state of Oregon.